Craft parties, Crochet, Workshops, Courses and more! Are you interested in fashion and costume design? Inspired by the amazing, eye-catching and daring outfits worn by film stars and pop stars? Ever fancied giving a celebrity a make over or make under? Then this is the project for you! 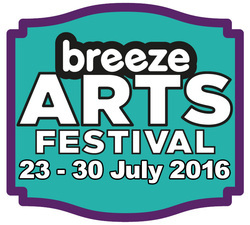 We're looking for young people to become the Breeze's Fashion Designers to the Stars! Breeze’s Fashion Designer to the Stars is an exciting new project for aspiring young designers between the ages of 11 and 19. Having chosen a actor, singer or character who inspires you, you'll research their fashion and costume choices throughout their career, use these ideas to design a brand new wardrobe for them, then make your favourite outfit! You'll develop your design skills and learn simple clothing construction techniques which you can adapt to start making your own clothes! You'll also be able to work towards your Discover and Explore Arts Awards! Your finished outfit will the take pride of place in a shop window of one of the best fashion emporiums in Leeds, during the Breeze Arts Festival from 23rd to 30th July, for all to see! Sessions will be held at the Friday Night Project at Pudsey and Saturday Night Project in Armley on specific dates and you’ll need to attend three sessions to complete your project. Sessions are free of charge and all materials and tools are provided. Places are limited so it’s essential that you book your place! If you’d like to join one of the project groups then please contact Christina Thomas on 07766021766 or email christinaluby@hotmail.com. You can also register your interest by completing this project form.